Morocco and Mauritania have both lauded the strong relationship existing between the two countries, while expressing their shared resolve to give a new momentum to their cooperation. This came during the talks held this Friday in Rabat between head of the Moroccan Government Saad Eddine el Othmani and visiting Foreign Minister Ismail Ould Cheikh Ahmed. The two sides lauded the “strong” relations binding the two countries and highlighted the promising prospects for consolidating their cooperation in different areas, including in agriculture and fisheries, the exchange of experience in the fields of vocational training and higher education. The Mauritanian official hailed the brotherly and historical links binding the two countries, noting that the positive synergy between them on a number of major issues can lead to further development of their cooperation in various areas. 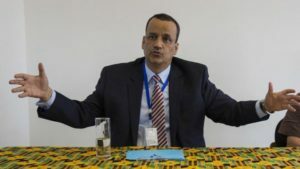 Means to consolidate relations in the commercial, economic and security fields, promote the interests of their respective expatriates in either country and improve their stay conditions were also discussed at the meeting held Thursday between the Mauritanian Foreign Minister and his Moroccan peer Nasser Bourita. In a press briefing following the talks, the two officials expressed satisfaction at the “positive momentum” marking bilateral relations that are based on geographical proximity, strong historical ties and brotherly bonds between the two peoples. Besides, the two countries have shared interests and challenges at the level of the Maghreb and Africa, they said. Bourita, who underlined that Rabat and Nouakchott are prompted by a strong desire to promote their bilateral relations, said the talks were a good opportunity to discuss ways to revive bilateral mechanisms such as the High Joint Committee, which did not convene since 2013. The two sides agreed to hold the committee meeting next year and also to revive political coordination mechanisms between Rabat and Nouakchott, he said. Bourita, who congratulated Mauritania on the success of its legislative, regional and municipal elections, held in-depth political consultations with his Mauritanian counterpart, which touched on several bilateral, Arab, regional and international issues. The two ministers agreed to coordinate the positions of Rabat and Noukchott on issues of shared interest, particularly at the level of regional and international organizations. When discussing the situation of the Arab Maghreb Union (AMU), the two sides stressed that Maghreb integration is dependent upon strong bilateral relations between the five member countries of the Union. Bourita and his Mauritanian peer reiterated their condemnation of terrorism, under all its forms, emphasizing the importance of strengthening cooperation and dialogue, and consolidating security coordination between the two countries to fight this scourge. Posted by Khalid Al Mouahidi on September 21, 2018. Filed under Zoom. You can follow any responses to this entry through the RSS 2.0. Both comments and pings are currently closed.